Our services include same day printing, digital printing, poster printing, short run booklet printing, short run catalog printing, variable data printing, saddle stitched booklets, perfect bound books, digital color copies, multi-part business forms, PO’s, invoices, statements, packing slips, banner printing, movie poster printing, printed window mesh, backlit film, artist canvas printing, full color postcards, postcards for films, look books, lookbooks, trade show graphics, pull up banners, retractable banner stands, presentation folders, press kit folders, #10 printed envelopes, window envelopes, catalog envelopes, stationery and letterheads, newsletters, flyers, product sheets, hang tags, brochures, full color flyers, flyer printing, newsletter printing, inkjet addressing, laser addressing, direct mail, daily mail, appeal mailings, mailing service, mail fulfillment, mailing house, EDDM service, mailing lists and all around GREAT environmentally friendly printer for your printing services. When looking at binding options, we have many to choose from that will help give your job just the look you want. Our binding options include Wire-O, spiral bind, perfect bind, velo-bind, saddle stitching, and spot glueing. Since 1984, SLB Printing has been providing printing to a wide range of clients across the United States. In 1990 we expanded into mailing services, then full color digital printing along with variable data (VDP) and now 63″ wide format, poster printing, backlit film, artist canvas, wall graphics & banner printing. In 2013 we completed the move into our new location on Robertson Blvd so we are now Culver City, Palms & Beverly Hills adjacent and freeway close too. Located just 3 blocks north of the 10 freeway. With the move into our new location, we have added a 3rd digital press along with a 2nd poster printer and many different types of bindery equipment to help meet the growing needs of our clients for same day rush printing. Our goal is to be a valued resource to you and a partner to help your business grow! 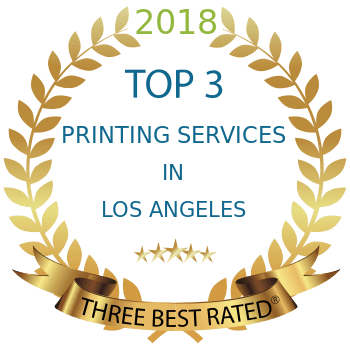 Come in or call to find out for yourself why our clients love our service, quality and commitment to exceed your expectations when it comes to all your printing needs.